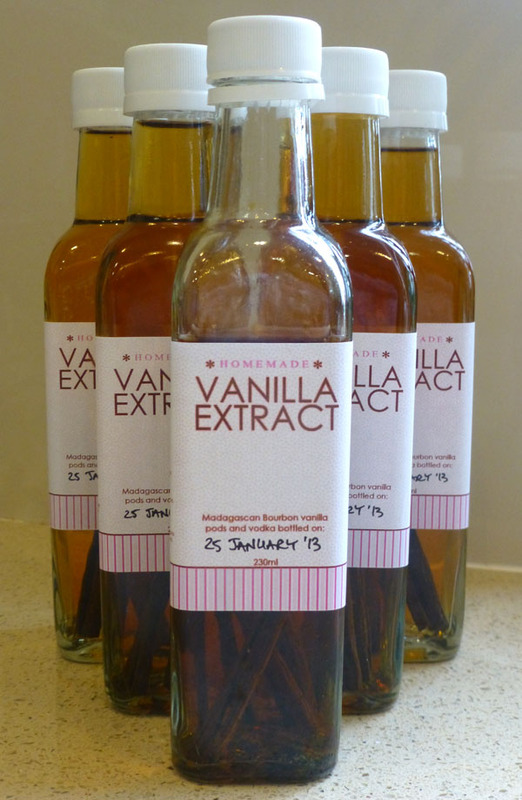 Every man and his dog has had a go at making their own vanilla extract....so I figured that it was time I did too! Besides, I hunted and hunted and hunted for the right bottles, the right vanilla and the right vodka - all at a relatively decent price. Maybe you want that info too? The pics are blurry, I am still having real trouble getting my not so new camera to agree with me. Sorry; you will get over it I am sure. I really thought that it would be a *cheap* project. Not so much! The ingredients were each quite expensive. But, it is worth it - I now have a gazillion (21 really) ready made presents just sitting and waiting for unsuspecting recipients. It is simple. All you do is cut the bean in 2, then slit each half in half length ways so that all the little beans are exposed. Keep one end of the pod halves attached. Put your sliced and slit beans in bottles and cover the beans with vodka. I used 2 pods per bottle. I believe that it is also possible to make extract with other hard liquor - if you have a huge stash look into using it, the internet is your friend. The beans need to be kept covered with the vodka, otherwise they will dry out. They also say that the beans need to soak for something like 6 weeks before using the extract. The longer they soak the better it gets. We sloshed some vanilla into our weekend latte - it was yummy, except that we could taste the vodka (ick!). I am waiting for some of the bottles to mature a little more, then I am going to move the beans around so that I have more beans in a bottle - to get a stronger vanilla extract. About the stickers - there are so many free printables online for these. I ended up downloading a ready made sticker page, then, never happy with things as they are, decided I needed to add to it. So, my stickers have a recipe for Vanilla Biscuits on one side and instructions on the other. If you would like a copy, drop me a note and I will e-mail you the sheet. Humungous 1.5l bottles of vodka from Costco - can't remember how much they were, but they were a little bit cheaper than elsewhere. Cheap, cheap vodka is just fine. 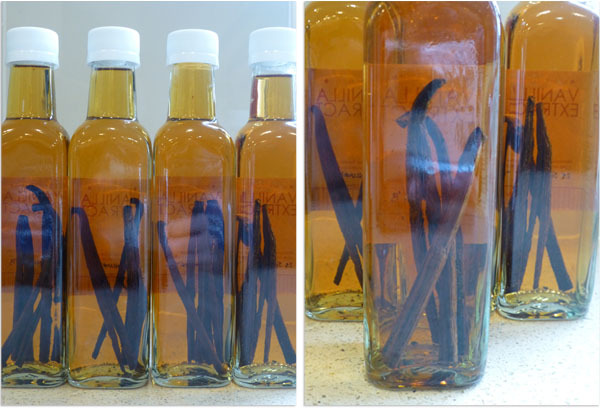 If you have made vanilla extract, let me know what worked for you. I'd love to hear.